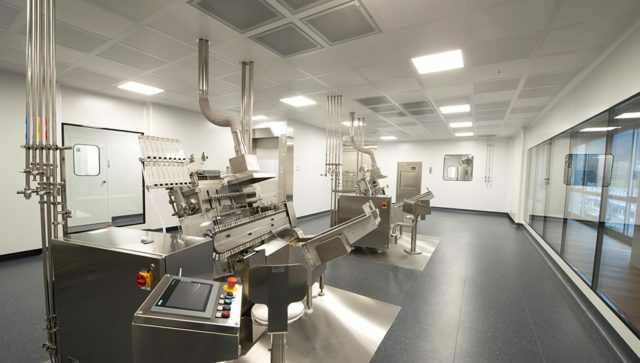 Nicomac pharmaceutical modular cleanroom walls are a composite construction of two skins of high pressure plastic laminate over an aluminum framework with a sealed and insulated interior. 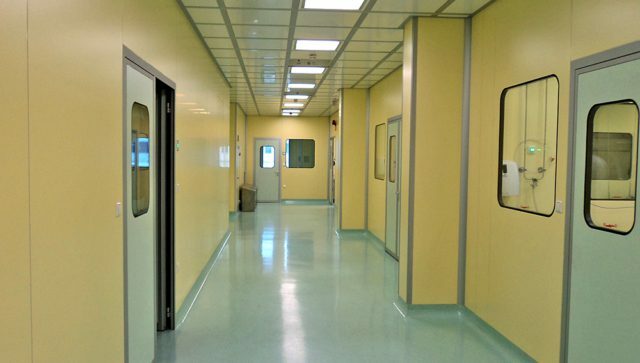 Standard modular clean room panel dimensions are 1250 mm (4′) wide with an overall length ranging from 3 to 4,2 mt (10’ to 14’). 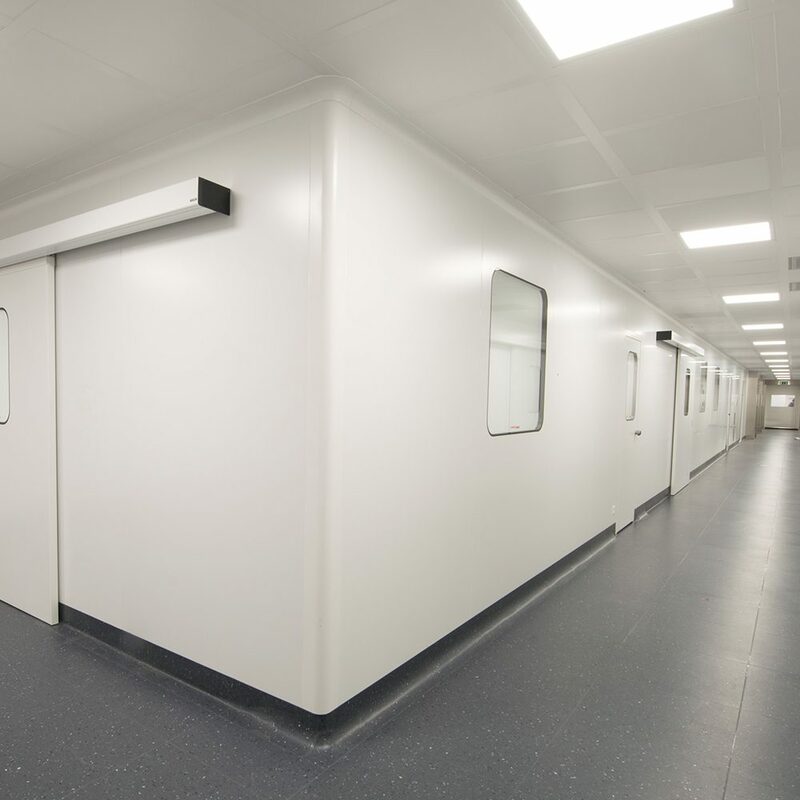 Standard modular clean room walls panels have an overall thickness of 45 mm (1 3/4″). The assembly is self-supporting. Additional wall heights can be achieved by using a stacking technique. 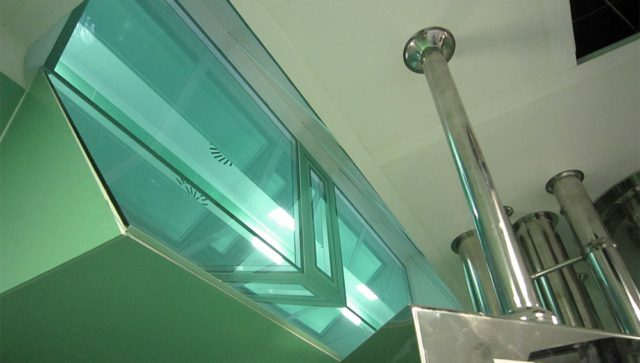 The self-supporting, insulated walls are assembled with an interior aluminum framework. 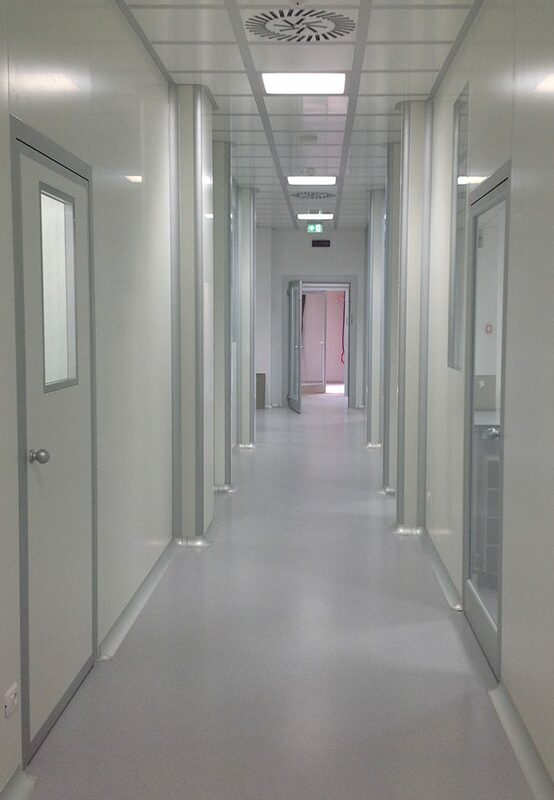 The Modular Clean room walls panel seams are sealed by silicone with a perfectly flush finishing. 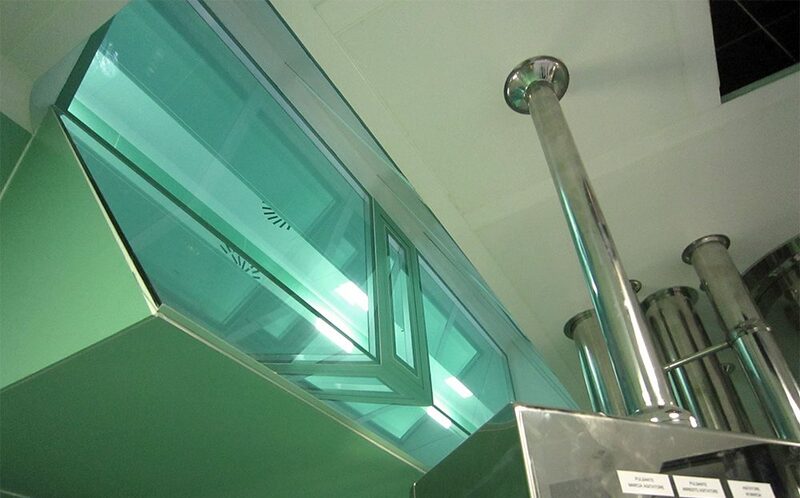 uPVC welded seams are also available. Insulation materials are sandwiched between the two skin layers and sealed from the exterior by the aluminum framework. 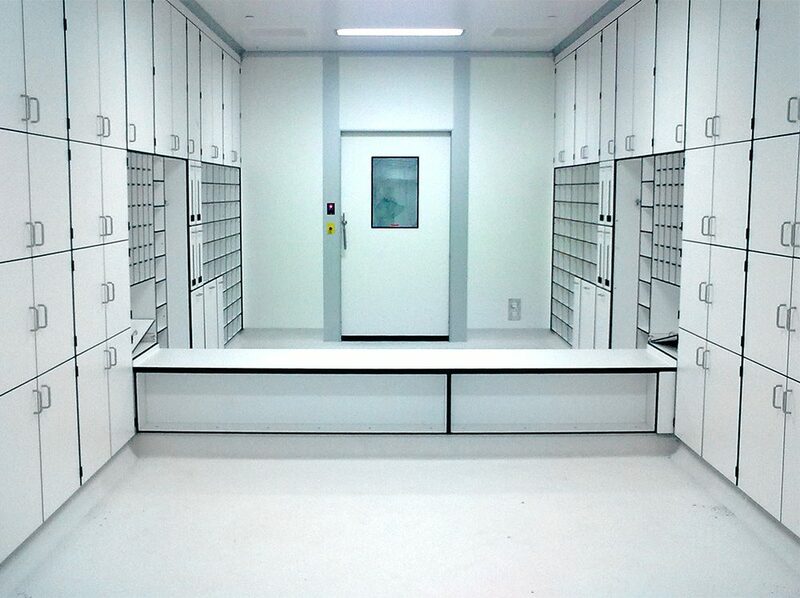 There is a selection list of materials for insulation and wall skins according different needs in modular cleanroom construction. The Nicomac unique standard wall skin is an anti-scratch high-pressure laminate (impregnated with a special phenolic resin to be fire resistant). The high-pressure laminate can be easily milled to allow flush mounting of all covings and accessories and guarantees compliance with cGMP rules for cleanroom cleaning. 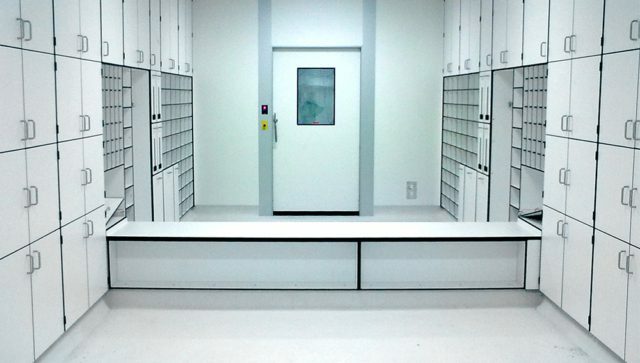 The Modular cleanroon wall system is flexible thus allowing easy installation and accepts changes to design in the field and can be reconfigured for use in other locations. 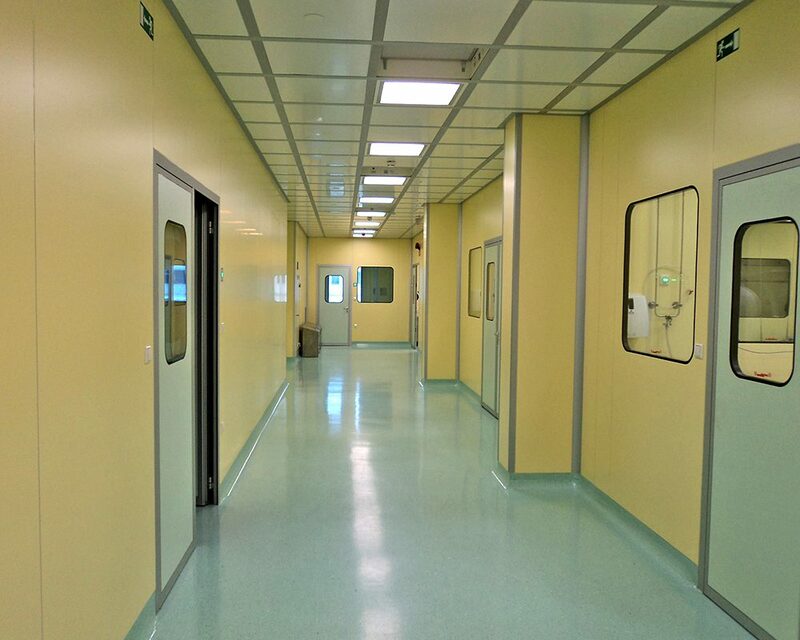 uPVC coated and metal powder coated metal clean room wall panels are also available.